Sharon Bond-Hogg, of Kekuli Cafe loves cooking! A pinch of this, a dash of that, a palm of this and an eyeball of that, and some good old fashioned Inspiration, makes for some yummy desserts and bannock treats at Kekuli Cafe! Here we have a Berry Bannock Pudding recipe that we make at Kekuli Cafe, inspired by Dolly Watts, who is now retired on the Island. I wish I would have met her years ago, when I was researching my business plan and ideas, because I was scared to open my restaurant! How would this be perceived? Well, all good, and all said and done! Two restaurants and more to come! 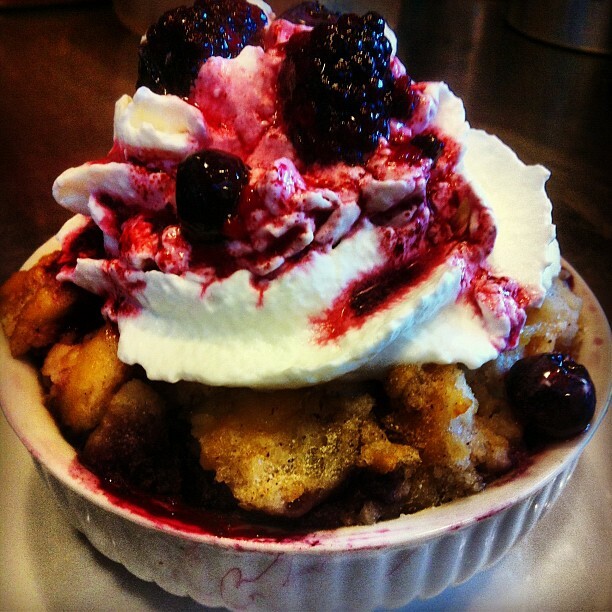 So here is a recipe video of our Berry Bannock pudding! Enjoy!